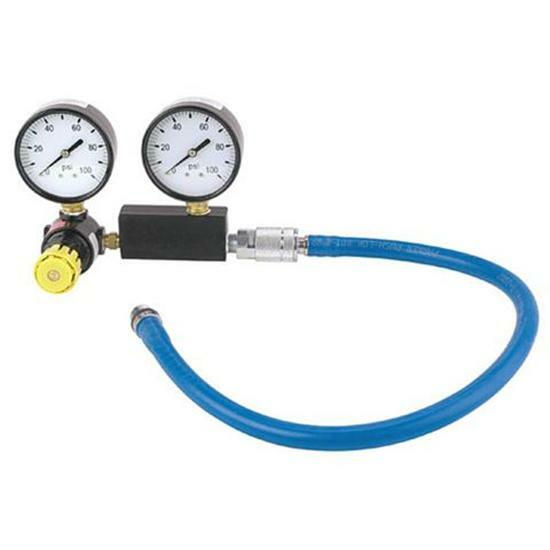 This dual gauge is ideal to check leak down and set barrel valves on fuel injection systems without running the engine. Detects ring seat failure, bent valves, cracked heads, and leaking gaskets. Works best with 100+ psi air source. Includes a 21" quick-disconnect hose to connect from the gauge to the spark plug hole. The threads on the the spark plug end are 14mm with an O-ring seal. Pat gives an overview of different LS block off plates we have to offer. Down time between races? Check out these recommended tests to keep your engine running at peak performance! The steps of a repaint/restoration project on a 496 Blueprint crate engine. Jeff K. talks about how he went from a Chevelle 283 to a garage sale 496 Blueprint.